Huh, you know what's also interesting? Han hides in a recruitment center where he joins the Imperial army to leave Corellia. He says his name is just "Han" and that he's alone...Imperial guard gives him the last name "Solo"
For all the "what a dumb title!" and Red Solo cup jokes, that's why the film's called Solo. Also notice how Snoke sneeringly calls Ben “Young Solo” and in the confrontation with Rey, she makes a point of telling him, “you underestimate Ben Solo.” There’s a repetition of the name/theme between these two films and that one detail is critical. The Skywalker Saga ends.... and the Solo saga begins. Uhm, reading the spoilers, it sounds like a sort of boring movie. It seems that the characters run here, run there, do this, do that, and what's the point? Maybe the point is "how Han learned not to trust anyone", but that's boring. I don't know, maybe watching it I'll have a different impression. Looking forward to Netflix. Not feeling it to do to the cinema. I'm sure Disney won't miss one ticket. I've been thinking that's the way it's going to go for a while. All this Solo stuff seems to be providing more evidence of that. this movie sounds like a total filler. I think it's a lighthearted "fun" movie and that's totally ok. I'm not really emotionally invested but I'm looking forward seeing it just like any other good movie that got me interested. @snufkin wrote: Huh, you know what's also interesting? This is an absolutely brialliant post. Given that this movie is left open ended leaving room for a sequel, it’s clear they’re making Han (and the Solo name) just as important as Luke and Leia and their subsequent lineage. I’m remembering quotes from various LF officials stating IX would conclude the end of the Skywalker saga and now I’m laughing at how the majority of fandom has all been played with that statement. I’m also loving the Ben Solo and Reylo parallels I’m seeing in these spoilers. I don’t find this to be filler at all. @rawpowah @SoloSideCousin @IoJovi Found it! I can see how "ooh we'll throw in these recognizable characters to please the fanboys and completists" is filler because lbr, Rogue One was 100% filler meant to do that. But names and that specific name, are very important in the new films. 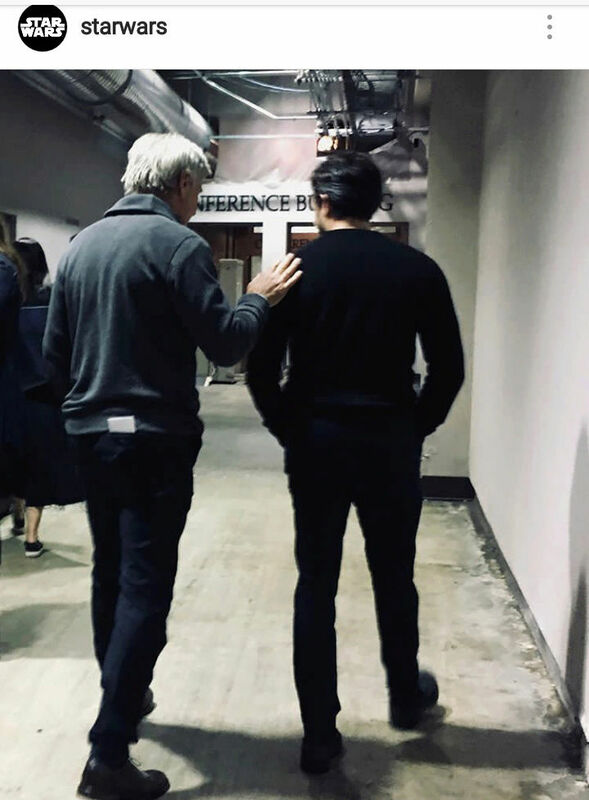 Although I think my favorite fanboy theory about Kasdan's comment that the story here is what Han flashes back to when he meets Rey and offers to help her because he was in the same position she's in is that it's about thinking that Rey and Finn and like Luke and him. Which bless their hearts, lol nope it ain't that. He sees Rey as being like him and Qi'ra trying to escape Correila and running afoul of the Imperials. He's more than aware of what can go wrong in that situation for somebody young and vulnerable and also what happened to him with Beckett. That's why he tries to get her to stay with him and Chewie, which oddly enough makes both he and Rey similar -trying to do for others what nobody did for them. And I think @rawpowah has the best guess what's behind those comments - they may be wrapping up the stories of a special cursed family of space wizards, but there may well be more of these 'young Solo' movies (which given that there's only a 5 year gap in between the first movie and this one from the age given for him), that's not a whole lot of stories to cover. Unless they're planning on exploring his sad life as a geriatric smuggler. But there may well be future movies about any potential offspring his idiot son has if he survives the ST and makes things up to his space girlfriend. Yeah this is what I've been thinking since I saw TLJ (and how much Ben's family ties were mentioned). Disney wants their own family saga and the Solo name is a mixture of both the past (Skywalker ties) and the future. It's the ideal cash cow. Otherwise you're just stuck churning out young Han Solo movies, which will sell well, but are restrictive in terms of timeline. I can only hope IX wraps up well for Reylo and we get closure, before LF announces the inevitable sequels with their kids. @snufkin Just saw your comment after I posted mine and I totally agree. LF should also give us young Ben Solo movies while they're at it . 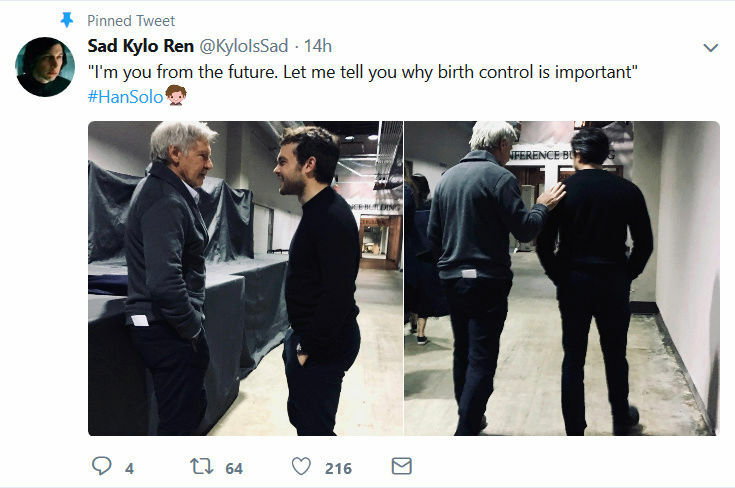 Alden can play young dad Han and LF can cast a young Leia . @AceofWands Unfortunately, SW isn't on much in the way of streaming. I can't even rent any of the movies on Amazon. I did see some on an airplane once. Plus most of Disney's content is leaving Netflix next year for their own service. I didn't read the really long, full movie spoiler, but I'm not surprised if it's filler-ish. 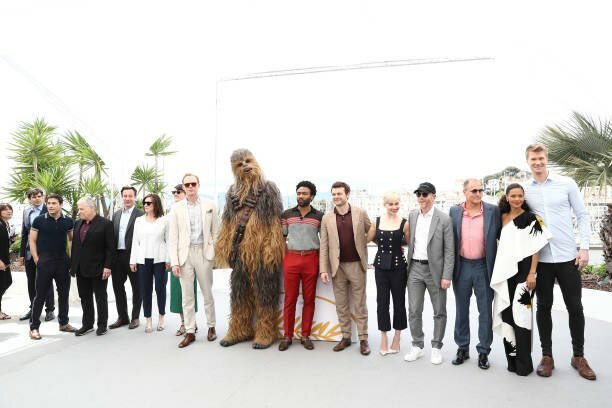 It's meant to be a big popcorn summer blockbuster tentpole action movie, with some nostagic stuff audiences recognize, not some pivotal centerpiece of the SW tapestry. 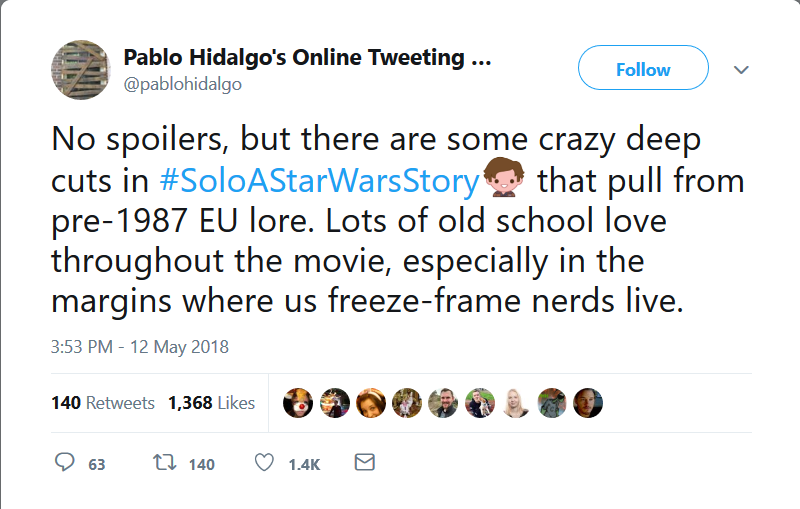 Sounds like they were able to tie it into the big SW EU story relatively well. I'm just glad it's not a total trainwreck like many feared it could be. 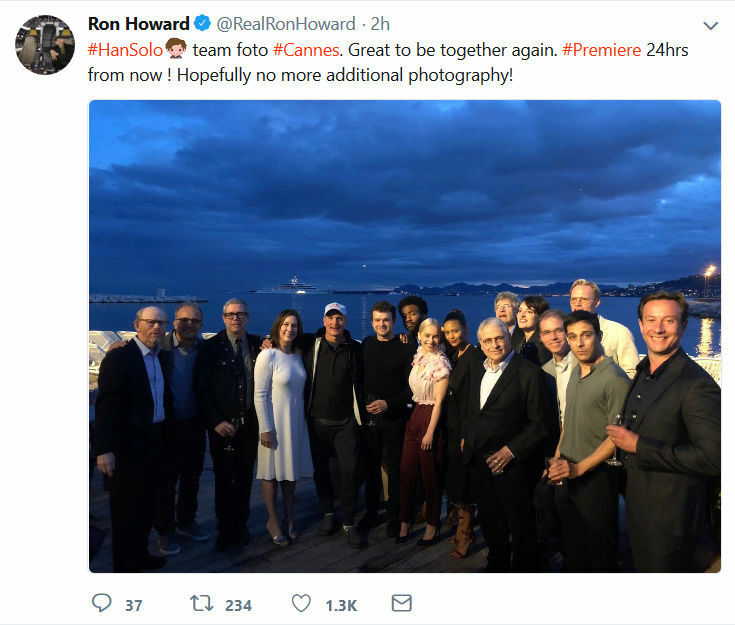 There have been too many recent examples of studios that do massive reshoots to change the movie's creative direction, then awkwardly edit the two together to make it by the given release date (Suicide Squad, Fant4stic, Justice League, even RO to an extent). I'm so glad they pushed the release of IX. Exactly! The Skywalkers are Lucas's, but the Solos will belong to Disney. Ben will break the curse and move on as a Solo. @californiagirl wrote: @AceofWands Unfortunately, SW isn't on much in the way of streaming. I can't even rent any of the movies on Amazon. I did see some on an airplane once. Plus most of Disney's content is leaving Netflix next year for their own service. Too bad. 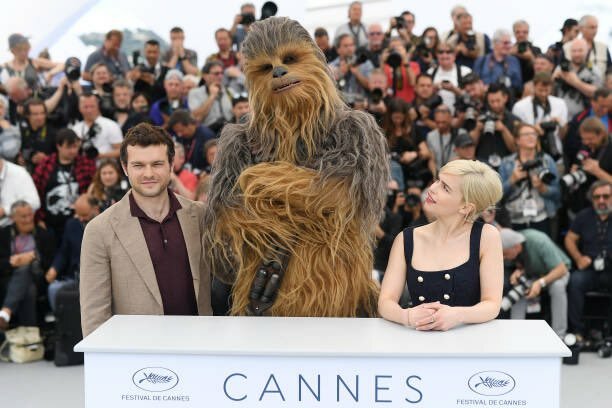 I guess I'll never see Solo then. Not sure I'm missing much. Actually I do feel cheated in watching movies come out as Star Wars and without any soul. I don't need the force, but I need a bit more brain, more symbolism, more something. I have nothing against mindless summer popcorn movies, but that ain't Star Wars. I guess in fantasy and science fiction, for some reason, I always expect a bit more depth. SW is both. Edit to add: about Han's last name... What if they find out he is...SKYWALKER!!! Not as a relative, but as a very common last name. Problems solved. Now seriously, I don't think we'll move on to the Solo saga. Maybe Han doesn't have a last name, meaning that his son will get Leia's last name... Which solves a lot of problems for the Skywalker-insistent folks. @AceofWands You can watch the movie on HBO, if you have it. Mine is actually showing AOTC pretty soon. @rawpowah wrote: LF should also give us young Ben Solo movies while they're at it . 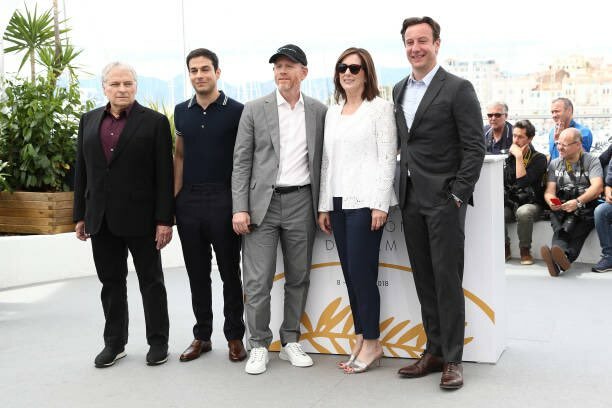 Alden can play young dad Han and LF can cast a young Leia . 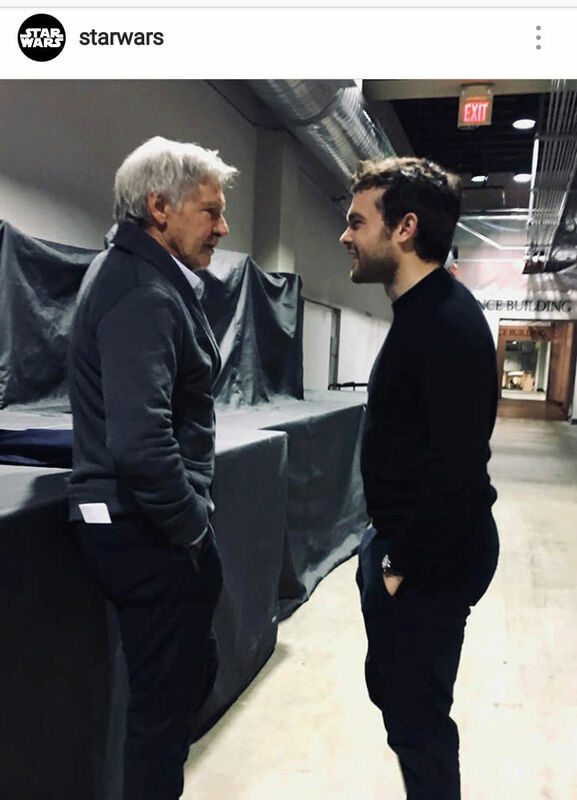 I did not realize how much I want Alden to play young Han with little Ben in a flashback sequence in IX until now. Add that to my ever-growing SW wish list. As well as this little surprise from Harrison during one of Aiden's interviews with Entertainment Tonight. Sounds like fanservice for all the annoying fanboys who hated TLJ because their Snoke theories got debunked.
. I know this is in tongue and cheek but it makes me so sad!!! USA Today with a small video about the making of Solo. I've been having way too much fun with Twitter screenshots once I discovered that was a thing one could do. Reading Solo reviews, I think I'll sit this one out and maybe watch it on a long international flight or something. Doesn't sound bad, but nothing to get excited about either. 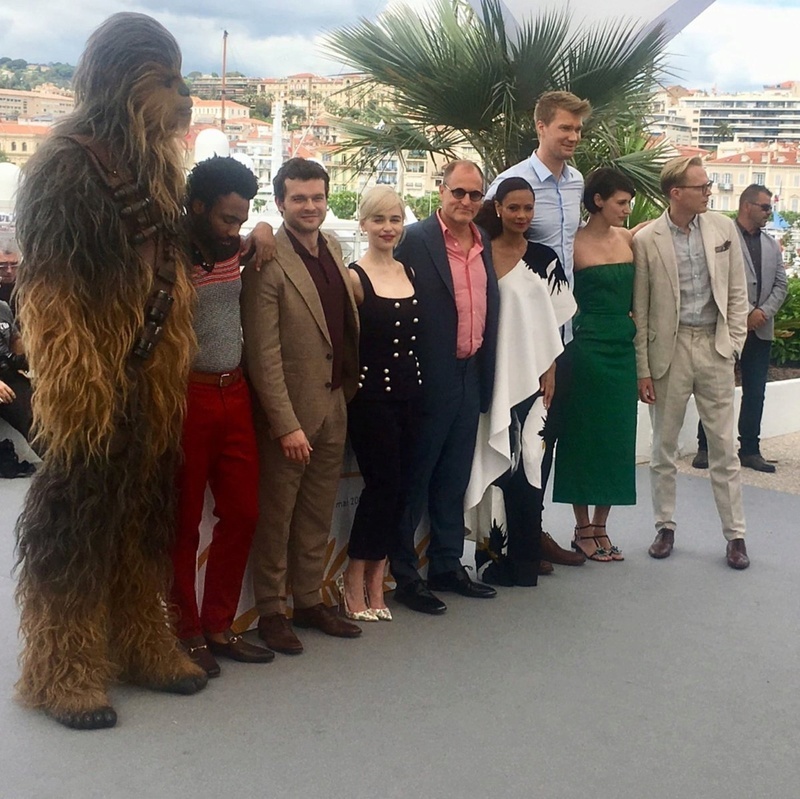 Could be a nice harmless fandom cleanser after all the TLJ wars, lol. @Saracene wrote: Reading Solo reviews, I think I'll sit this one out and maybe watch it on a long international flight or something. Doesn't sound bad, but nothing to get excited about either. It looks like a mostly-harmless piece of mostly-fluff, but knowing SW fans, I'm sure it will rip fandom the shreds yet again. 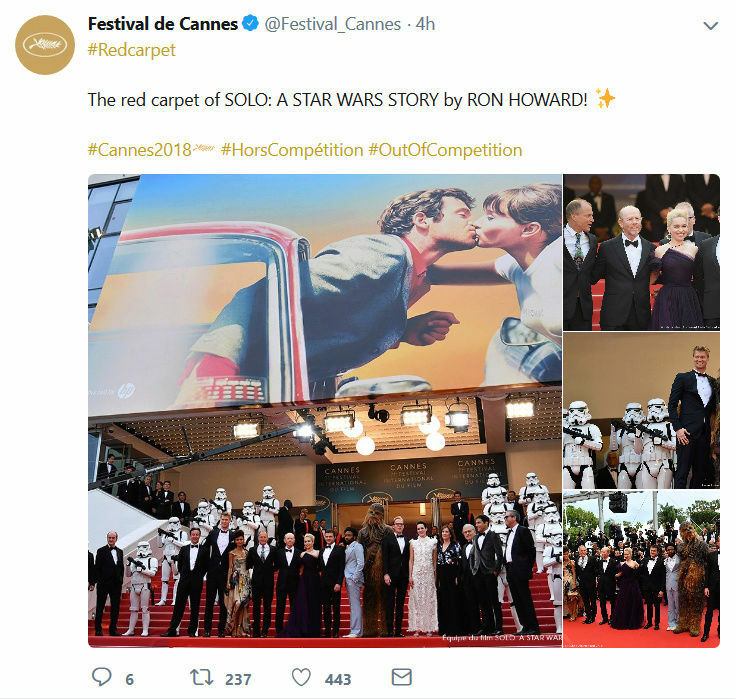 Not my Han Solo and all that, or maybe he does things that some think are out of character, or answers questions in a way fans don't like, and Disney is driving SW into the ground and on and on.... Honestly, SW fans are really predictable, but think they are such perceptive edgelords. It's a trip with these people.